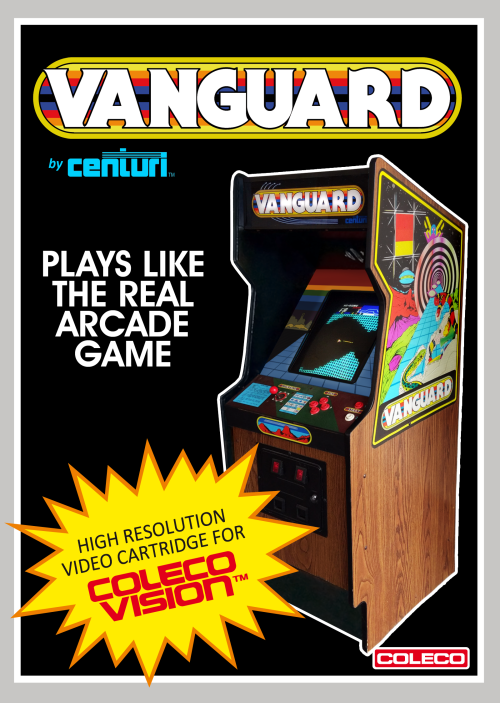 The team at CollectorVision is releasing a new title for the ColecoVision which is a port of Vanguard. Coleco was supposed to release the game for the system back in the 80s but it sadly became one of the many vaporware announced by Coleco. For years, CollectorVision strived to release prototypes, unreleased and vaporware games announced by former Coleco and now they are finally bringing Vanguard to the ColecoVisio. CollectorVision is calling this the MOST ACCURATE home conversion of the game. It even includes the famous original speech synthesis, music and SFX! The cartridge is 128K and is packed with full goodness! No release date as of yet but coming later this year.